Door installations made easy with Premdor’s SpeedSet Plus doorsets ..
Fitting a door can be stressful, time consuming and require the expertise of an experienced joiner to ensure the job is done properly. Traditionally, success depends upon a detailed, methodical process of measuring and adjusting – including a large variety of tools to ensure the perfect fit! With the SpeedSet Plus doorset system you have the ability to adjust the width of the lining by +/- 10mm to accommodate variations within a given wall thickness; a common problem encountered on site, ideal for both new builds and renovation projects. See our quick and easy to follow video for installing a Premdor SpeedSet Plus on our YouTube channel! 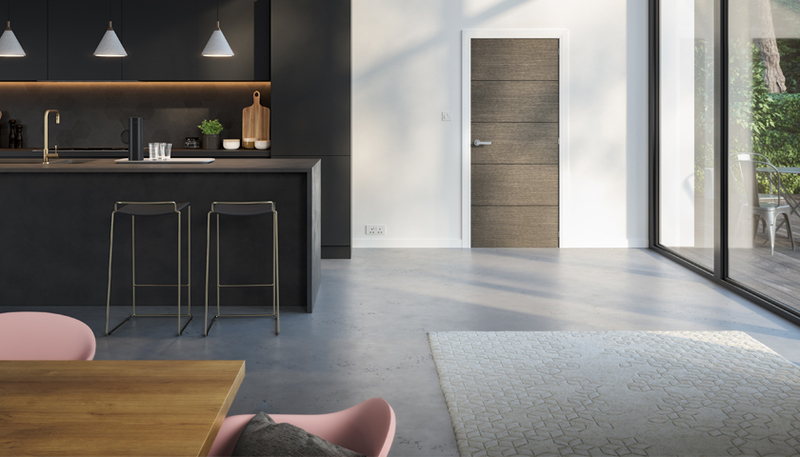 Suitable for a wide range of applications, and available as an FD30 fire door option, the Premdor prefabricated internal doorset is unique. See our installation guide here. There is no need for a trained joiner as it comes with easy to follow instructions and the essential fixings along with your door, lining and architrave, to significantly reduce installation time to approximately twenty minutes!